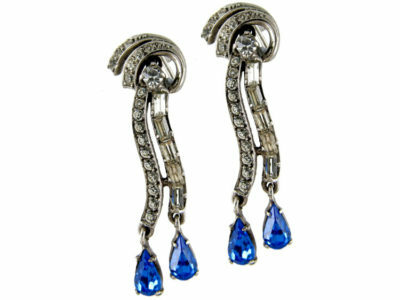 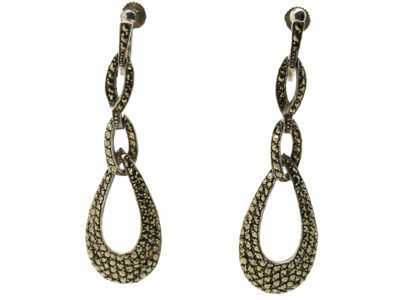 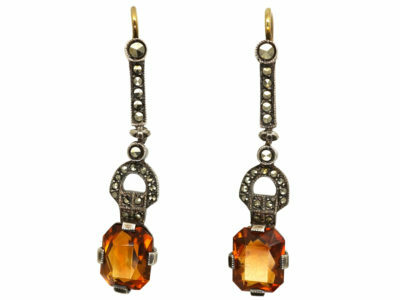 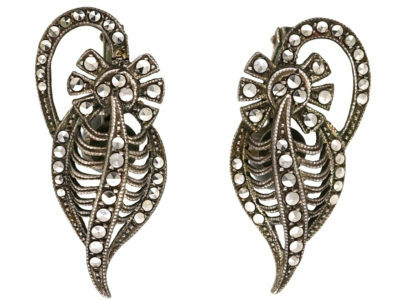 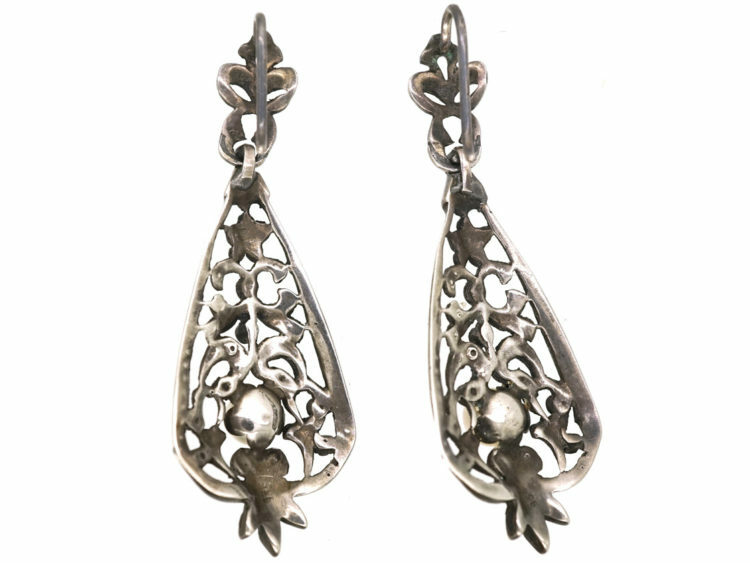 A pretty pair of silver articulated drop earrings that were made circa 1920-1930. 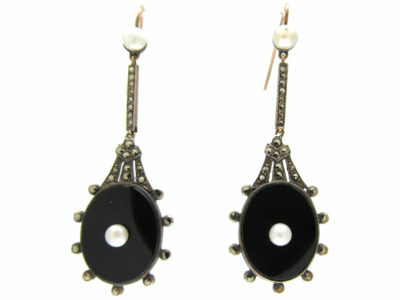 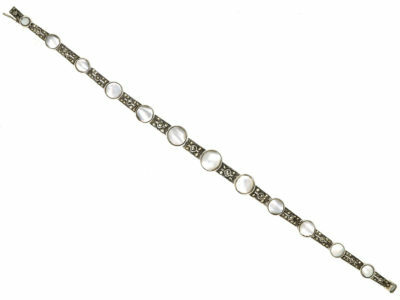 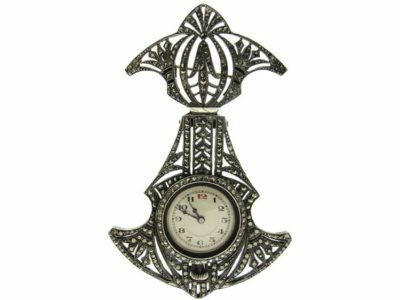 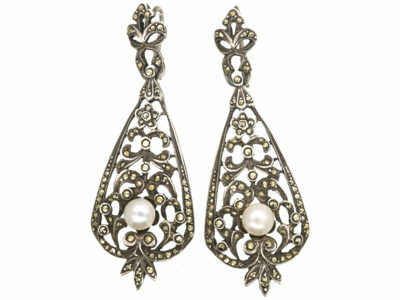 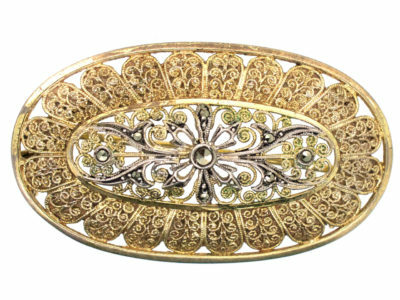 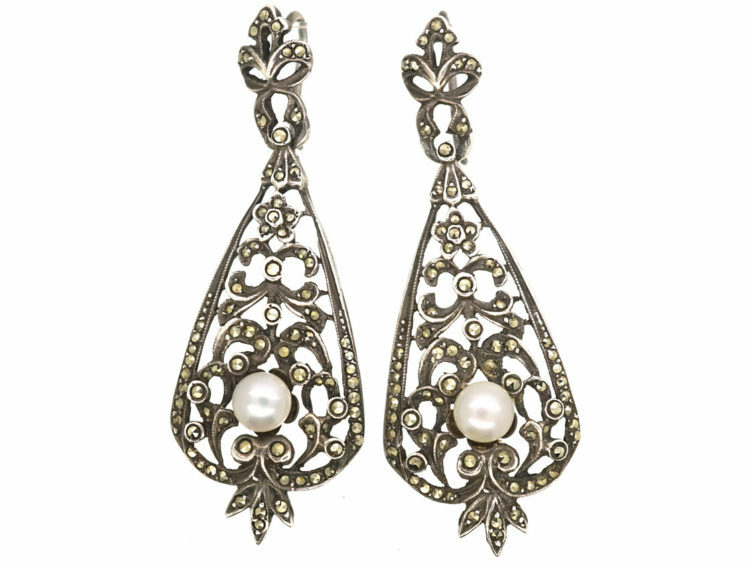 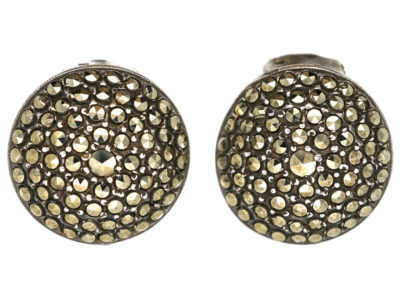 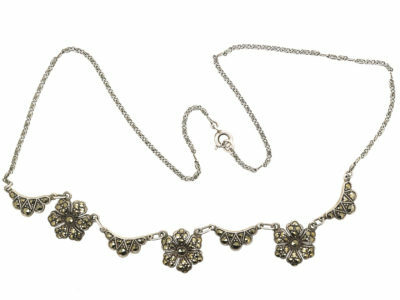 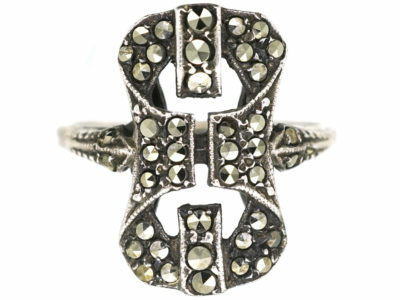 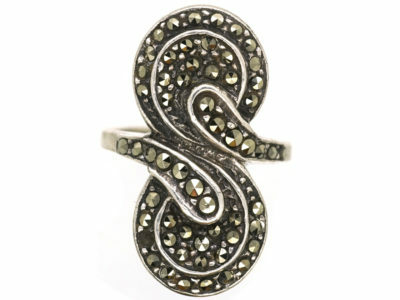 They are set with graded marcasite (iron pyrites) and cultured pearls in a pierced work design. 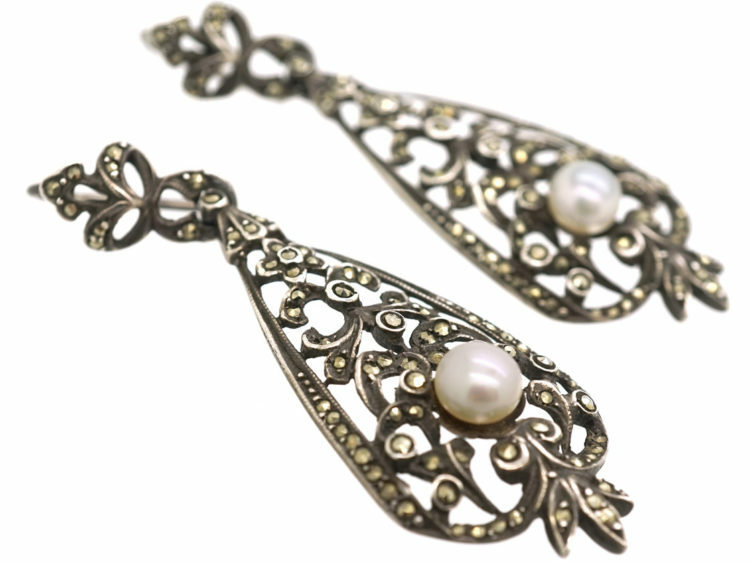 The effect is light and lovely when worn.